Morning: We depart from Ho Chi Minh city to My Tho city for one and half hours by bus. A smooth one and half hour bus ride passing the green rice fields, leads you to the beautiful rural MYTHO city. The morning trip continues on the motorized boat on the Tien River to the Qui (Tortoise islet). On the way, you will view the fishing port, stilt houses, boat-building workshops, the other Dragon, Phoenix and Unicorn Islet. 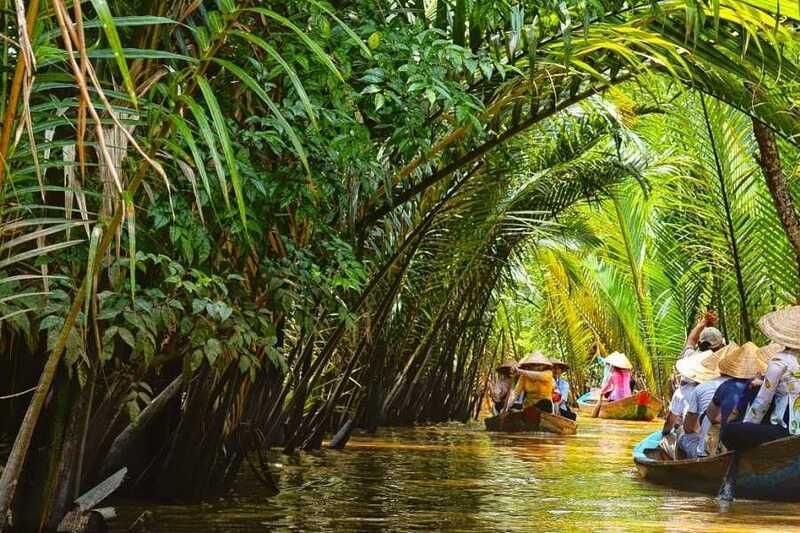 The cruise will lead you through Bao Dinh canal to enter Ben Tre province, "the country of coconut", to see a typical agricultural model call "Garden - Pond – Cage” then enjoy coconut candy mill and the relaxing honey tea. 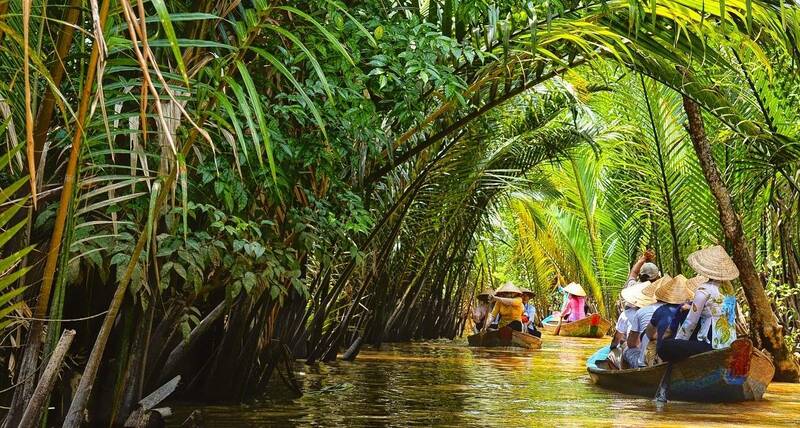 Then the amazing rowing boat trip on the small canal - fully covered by the shadow of the water coconut’s tree and cool breezes is something you cannot miss. Lunch will be served right in the heart of the orchard garden. 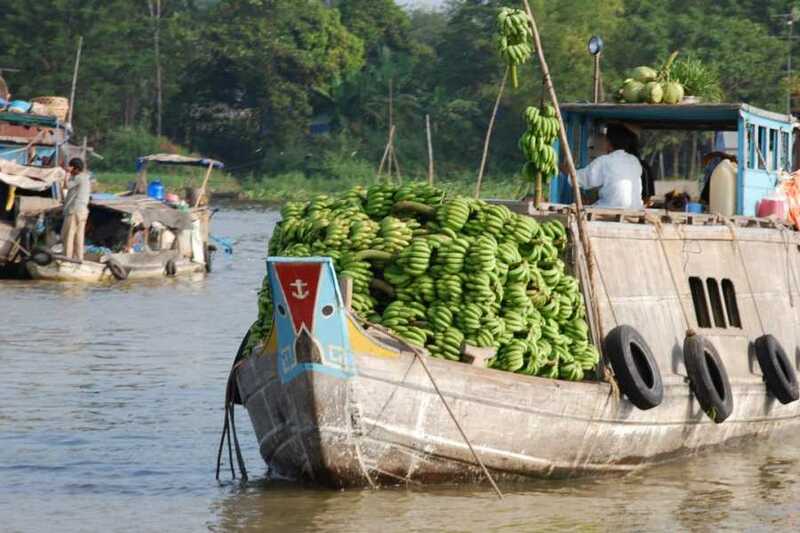 Afternoon: we will walk into the village, visit fruit garden, enjoy the tropical fruit while you are listening to the sound of "Southern Vietnamese folk music" performed by the islanders. 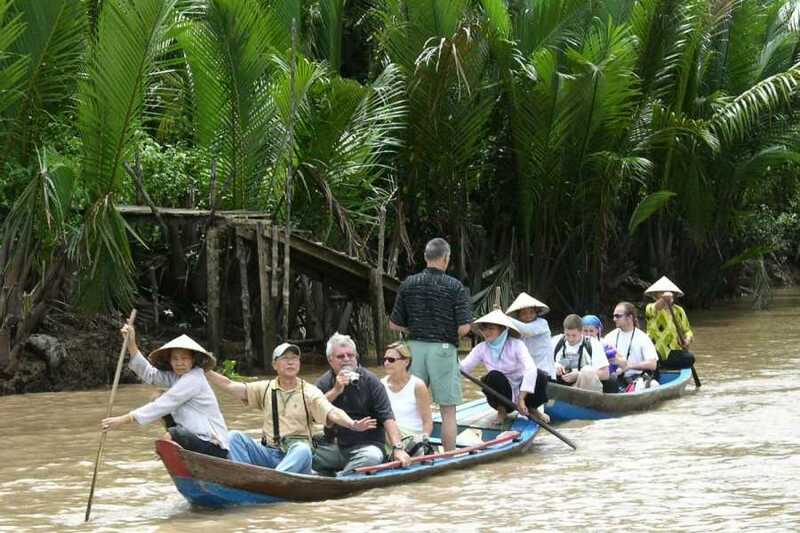 Here we also can join the daily activities of the local people and enjoy the atmosphere of this beautiful natural countryside. Hotel: Check in at hotel. 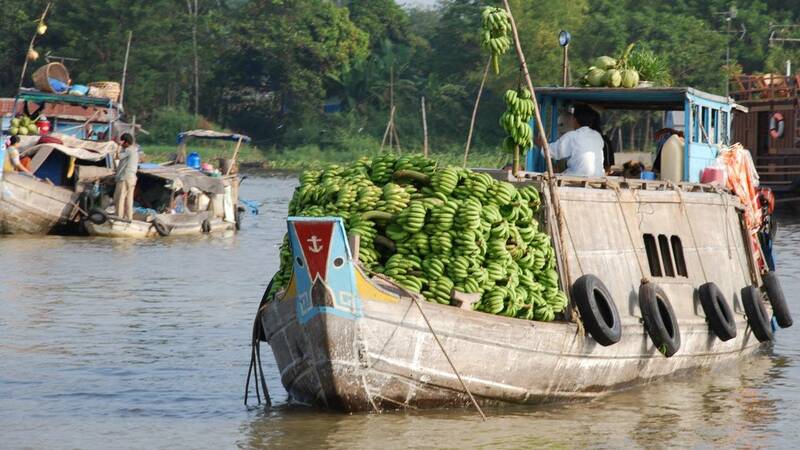 Morning After breakfast, you first take the boat trip to explore the picturesque tributaries of the Lower Mekong River. The boat trip later takes you to the Cai Rang floating market, which is the most original ones and bustling places of the region. Have you tried the Vietnamese vermicelli noodle? So, you will go and see how it is made. 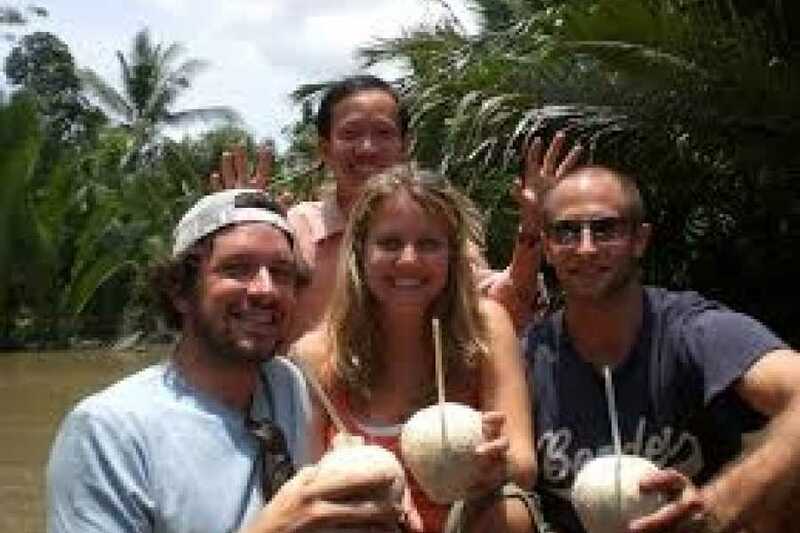 Afternoon: you will trek along the village to get in touch with the local people. 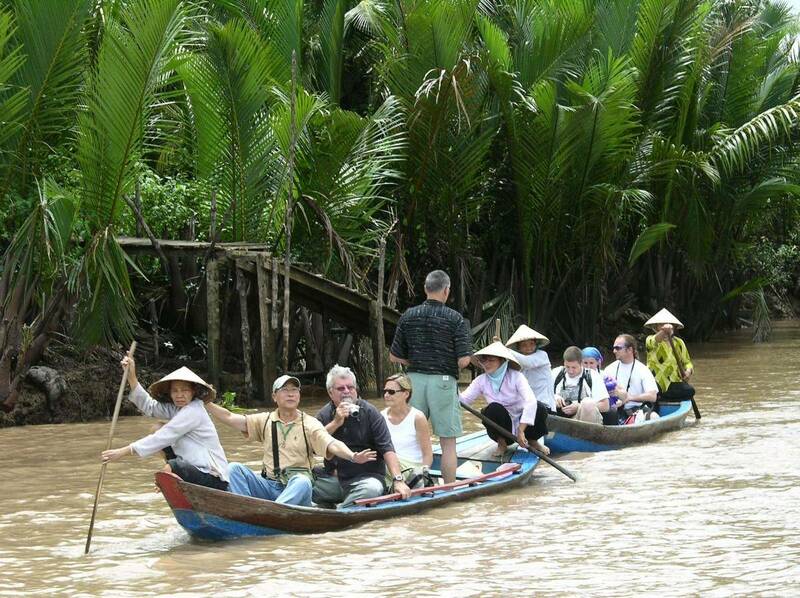 Here, you have a chance to experience how to pass a "Monkey bridge" which is built by only one bamboo. 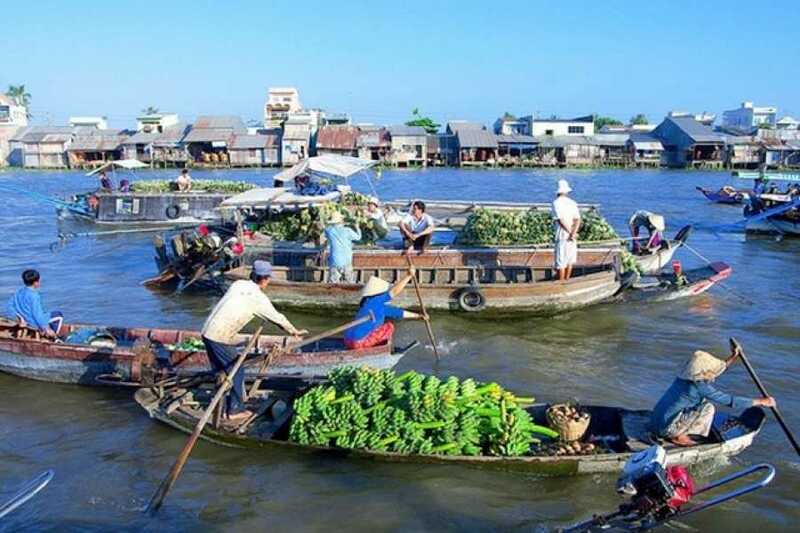 Leaving the village, you will go to visit Can Tho market, have lunch there. Then, our bus will transfer you back HCM City around 5.00pm. End tour. Say goodbye and hoping see you again.